So. It is the beginning of NaNoWriMo week three. Also known as the doldrums, and slump week. When somehow things seem to get harder for your NaNoNovel, either to focus on or to figure out. I always tackle NaNo with a huge (madly so) amount of enthusiasm – NaNo introduced me to finishing novels, writing every day, a sense of writer community, and also, you know, the rest of the Ferrets – and . . . well, way too much of a goal. Week three slows me down too. And this year? This year I am fighting to catch up in week three – hopefully I will hit the goal I should be at sometime today, or tomorrow. My current wordcount? Well. . . It’s somewhere north of 50k. It’s all Nanoey and Official-like! It’s 11/11! Which was a way cooler back in 2011, but whatever. We all get our kicks when we can. Anyway, it’s the second week of NaNo, and I’m sure most of you are writing furiously. I know I sure am. Sadly, that doesn’t change the fact that I’m more than 4000 words behind my goal. This doesn’t really bother me though. Pretty much every year I’m a good chunk of words behind until about the end of the third week, when (for whatever reason) I am able to pull about 3000 words a day until I am able to catch up. At least, that’s what I did last year. (And the year before that as well, but I was too far behind to catch up, even with the speed of sound writing I was doing.) Anyway, I’m not (yet) worried. This year, I have interesting names for my characters. It’s all story and plot related, but still: my main characters’ names are Llwelyn and Finley. (Why yes, their parents were Irish hippies with terrible senses of humor.) Anyway, I’m already finding that I tend to misspell their names as… can you guess it? Llywelfyn and Finely. Yeah. I’m not sure where the ‘f’ comes from in Lil’s name, but Finley (or should I say Finely?) is pretty obvious to me anyway. This should give my inner editor something to laugh at later when I finish this beast of a novel. What about you? Any strange misspellings yet in your novels? Butcher anyone’s names yet? Or just plain butcher somebody? It’s NaNo! Anything is possible! 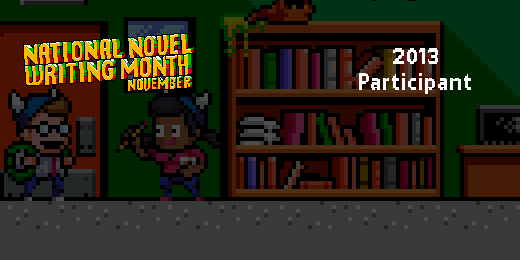 Welcome to National Novel Writing Month! So you have taken up the challenge to write 50,000 words this month. Congratulations! You’ll need a way to keep your goals in sight. 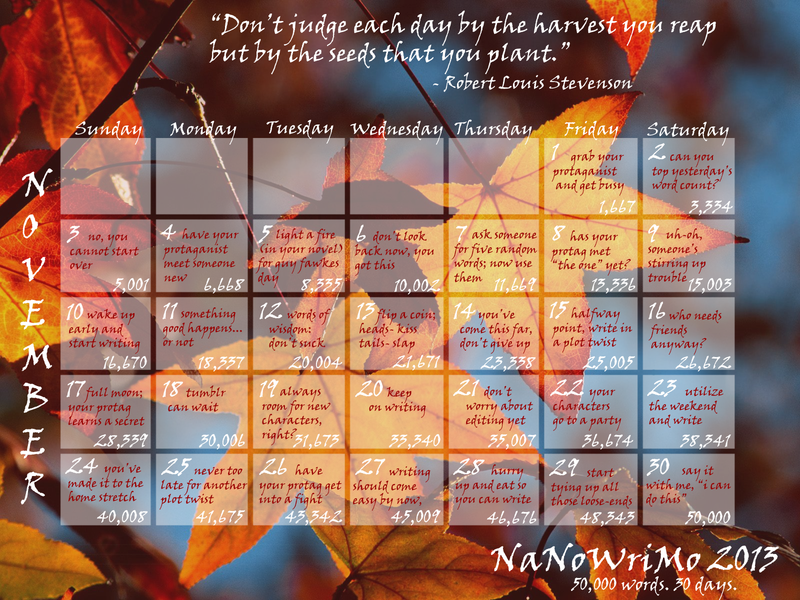 Your NaNoWriMo calendar for 2013 gives you an invaluable tool for successfully hitting your word count goals, and vanquishing your evil inner editor. Think of it like a second conscience, or a trusty sidekick to keep you on course. NaNoWriMo – How Do You IDEA? You’ve signed up on the NaNoWriMo site. You’ve introduced yourself in your regional forum. You’ve donated and acquired a shiny new halo around your picture. And now it’s time to fill out the information about your novel and…crap. Finding something to actually write about is sometimes the most panic-inducing part of NaNoWriMo—or at least, of October. Maybe you’ve had an idea knocking around in your head for a while , in which case, good for you! Or maybe you’ve got an idea, but you just aren’t sure how to make it go for 50,000 words. Or maybe you’re more like me and just know that you want to write, even if you aren’t exactly sure what. Every year I’ve done NaNo, I’ve found myself stumbling across the idea for my novel in vastly different ways, sometimes with just a couple of days to spare before I have to start writing. So if you’re in that moment of “I don’t know what to write!” panic, stop, take a deep breath, and take a look at some of the different ways you can scrounge up something worth spending an entire month writing. The Ferrets, October 2012. 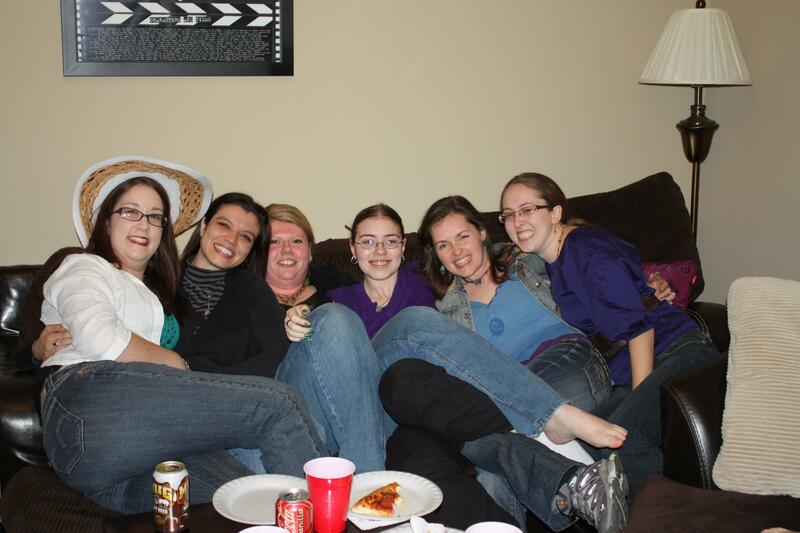 NaNoWriMo was approaching quickly, and they were all together for the first time. Sorry, Christmas Waltz is one of my favorite Christmas songs, so it only seemed appropriate to mutilate it for NaNoWriMo. In the midst of the soon-approaching holiday madness, there’s something coming up that is very special for all the Ferrets. Because the Ferrets wouldn’t exist except for NaNoWriMo. National Novel Writing Month is described as thirty days and nights of literary abandon – the event for everyone who has ever wanted to write a book ‘someday’. Well, readers, ‘someday’ is November 1st. The goal is 50,000 words. Today, you’re going to read a little bit from each Ferret about why we love NaNoWriMo, and every Monday from here on out until the end of November, we will give you some advice or encouragement to get you through the NaNo journey.